This is a place of discovery and exploration, where mud pies are baked and castles are fortified. 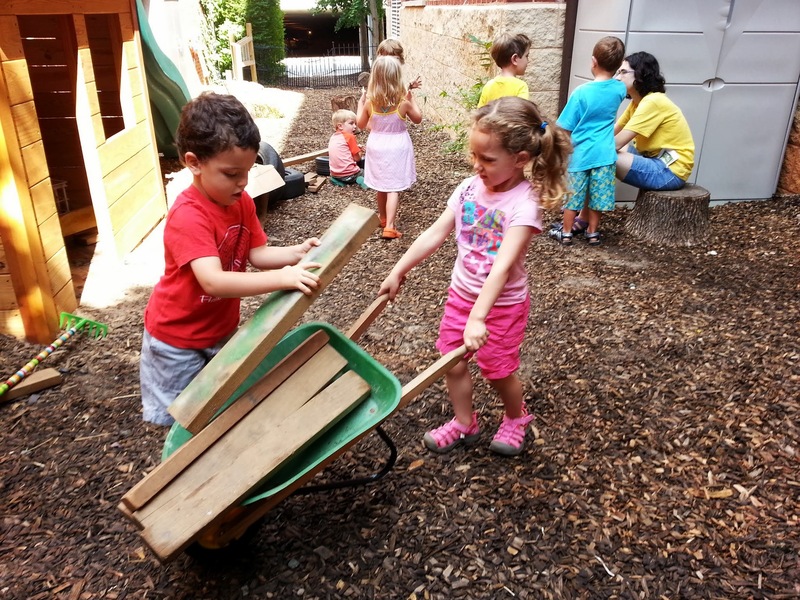 We subscribe to the notion of a loose parts playground, where children construct their own adventures using wooden boards, tires, and various found materials. Older students walk 3 blocks to Charlottesville’s McGuffey Park. Climbing trees, playing chase, and splashing in the water feature are common activities at the park. Although the park contains many structures, CBI kids can often be found moving rocks, making fairy houses, and playing super heroes during our outside play time.